Youth ministry programs with Christian youth games and lessons on this Christian teen website; free Bible studies for youth included. Would you share an activity, whether a Christian youth lesson (to teach) or a Christian youth game or icebreaker (for fun), that can be included on this site in the future? If you wish to receive recognition for your idea, please leave your name, state or country your reside in and, if you wish, your e-mail address. New ideas mean fewer same old, done-it-before youth meetings! New activities that teach help us assure our youth "run the race" with their eyes fixed on the principles of the Christian faith. This website will share free games for Christian youth groups as well as lessons that teach to assist in your youth progams. Please share a Christian youth game or activity you have found to be successful by e-mailing us at Timferguson@christianyouthgroup.org. Thank you for your interest. Please feel free to visit our guest book and leave feedback. So how did January 1st become New Years Day for most of the world? It was established by Roman emperor Julius Caesar in 46 BC as the Romans believed their God, Janus, could see backwards and forwards in time. The believers offered sacrifices and pledged good contact over the coming year to Janus. In a sense their pledge was an early form of making a New Year's Resolution. Can a Comic Convey the Gospel? You Bet it Can! Thirty Four color drawings covering thirteen events including: the martyrdom, the prison break, the trial and the ultimate appearance of Mattpaul. Human machine:Remind your machines that each body part can only provide its function. Sexual Purity Movie? : from a youth leader, who writes, " I am looking for a video which effectively presents the value of sexual purity"
Time Machine:: visit your past! President's Day Lesson for Christian Youth:: we look at the qualities God would look for in a leader. Lent and Love :As we look at things, we would give up for lent, we find lent is fulfilled by love. Banana Lesson:After attempting this impossible task, we stop to discuss how hard it is to redo errors that we make. More from South Africa: "The most memorable event we have each year is a beauty contest we call Miss Inner Beauty". The rhetoric is too high ... too nasty. Christians, whatever your political persuasion, Christian youth ministry needs Trust and Prayer at this time. I fear for the future of our world. We need to speak up. Christ calls us in Matthew chapter 25 to reach out to the sick, the needy and those imprisoned unjustly. This is NOT a liberal issue. It is a Christian issue. Will you pray for wisdom and strength to stop this prejudice? Trust and Prayer : Christian youth lesson begins with trust exercise and ends with activity that facilitates prayer amidst teens. Christmas Around the World:the studio audience, will hear the testimony of our esteemed guests and you will get to vote on the proposal to be made. Football Bible Trivia: If they get the question correct, they get to flick the football with one finger towards their goal line. 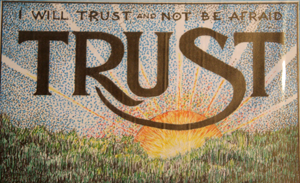 Trust and Prayer: Activity that encourages spoken prayer amidst youth and has been successful on several occasions with different youth programs. International Bible Treasure Hunt: Think of a cross between a Bible Trivia Contest and an episode of Indiana Jones searching for some missing archaeological treasure from the past. Two Truths and a Lie: Instruct each player to think of three statements about themselves. Two must be true statements, and one must be false. Movie Review: Pray: As a Christian "thriller" type film, this movie would serve as a great film for junior high/high school youth groups. The Lifeboat Game: Youth pick who will survive a lifeboat sinking. A time to reflect on making decisions and the value given to life. Three Pens Game: How looking at the whole picture makes the difference. Finding Truth: Four road signs depict a traveler's journey and the self doubts he/she have to overcome. Activity from Malaysia: "I STRONGLY suggest you try to get this movies and watch it as they were really beautiful and faith-lifting and encouraging." The Fruits of the Spirit: Note that some of the more difficult fruits,in the eyes of youth, are probably patience and self control. Determine which fruits are most common and why. The Rich Young Ruler: Activity that asks the question how to react to the command of Jesus to give everything that you own to the poor, then follow we are ready to follow Him. Two activities from South Africa: The objective of this game is to build co-operation and confidence in the young people, while at the same time they discover their gifts and callings. Food Scavenger Hunt: This card will explain who we are and what our mission is... We will thankfully accept all donations. Christian Teens Candles of Prayer: One more verse of candles, then a repeat of the original first verse and the usually serene Presbyterians were clapping their hands and swaying back and forth. Human Knot: from a youth leader in Missouri ... youth form a knot and escape ... easier said than done, we suspect. Ha Ha: Lot's of fun - an icebreaker we used with Spanish speaking young people in El Salvador, as well as with our own youth group. It has always been a great success. Jose Carlos, Christian Artist of Mexico City shares with us: An award winning Christian cartoon. Cross the Line: An icebreaker that gets young people sharing their experiences. Bombs Away: A game that tests our ability to trust. Meet Hallary, Knute, John and Joe: and find out how youth can "Make a Difference"
Jesus calls Christian teens and their Christian youth workers to "Go into the world to preach the gospel" and gives the promise,"I am always with you to the end of the age". Please share with us where you live so that the global community of Christian teens and their youth leaders can become more evident. Are you active in a Christian youth club (group)? Do you have Christian youth activities, Christian youth entertainment ideas or Christian youth work charities to share. Group games for youth ministry programs and Bible lessons for teenagers will be featered on our activities page, if you will share them. Help make our Christian youth website truly international!Just click on the Guestmap Icon and let us know who you are.